HOME OF SAILORS, RACERS, BOATERS AND FRIENDS Established in 1934, Cedar Lake Yacht Club is located 45 minutes southeast of Chicago next to the town grounds on the eastern shoreline of Cedar Lake, Indiana. The primary goal of our club is to promote the sport of sailing by providing a first rate facility for our members and their guests. Our facility consists of a club house, two cranes and a boat ramp for launching as well as a 150-foot long pier to accommodate member’s boats. We are a private volunteer organization providing weekly Sunday scow racing from May until September as well as hosting regattas and supporting the non-profit South Lake Sailing School. Our members can also enjoy the wonderful 800-acre Cedar Lake by day sailing, recreational boating or just lounging at our beautiful facility and take in the great views. 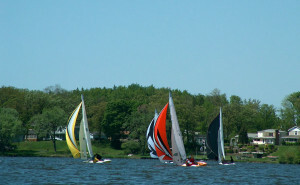 We are a member club of the Inland Yachting Association (ILYA), the National C Scow Sailing Association, and US Sailing. 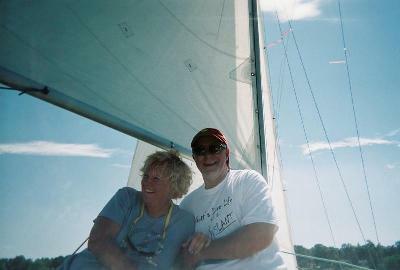 In addition to sailing we also provide many social events throughout the year. For additional information about Cedar Lake Yacht Club please explore the tabs at the top of the web page. 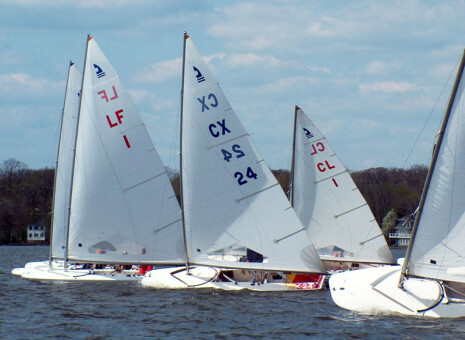 Click below for up-to-date sailing info.